0 out of 5 , based on 0 reviews. A Powerful & Responsive Portfolio & blog theme. 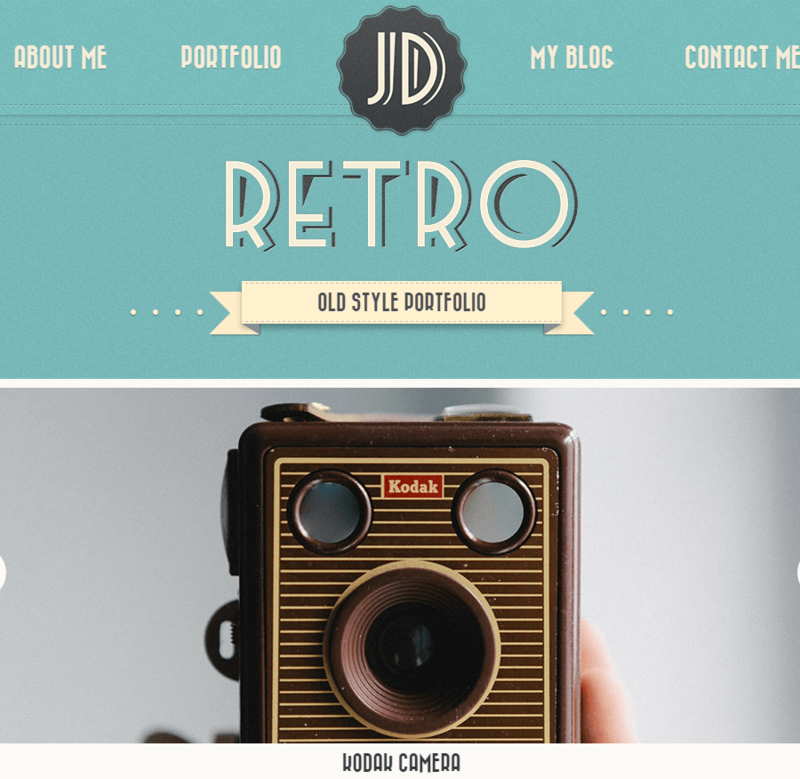 A One page vintage WordPress theme. A beautiful & fully featured Magazine/Blog theme. 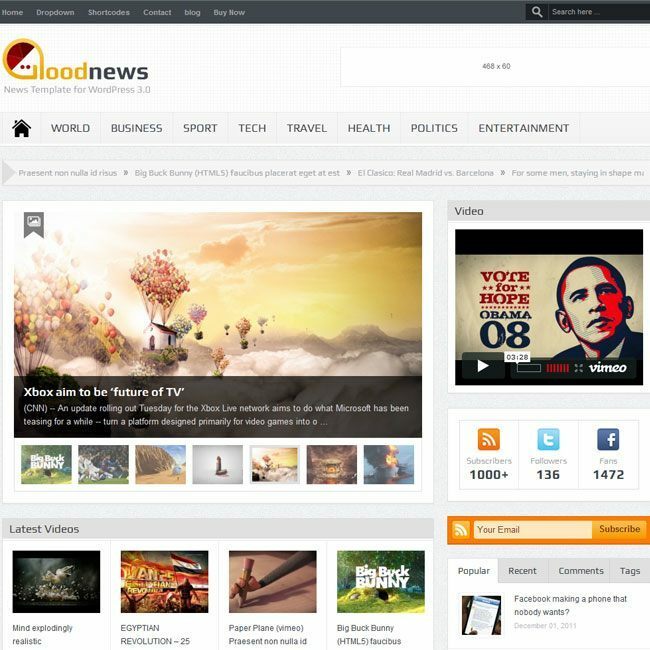 FastNews is a multipurpose WordPress theme specially built for magazine and blogging websites with plenty of features in one. It is a well documented theme that will guide you in building site with it, also it is responsive and retina ready hence it can easily adapt devices ranging from desktops, laptops, tablets, mobile phones to iPads and iPhones. On activating this theme you get theme options panel which has lot many powerful settings to choose and customize site with few clicks without any knowledge of programming. This theme is compatible with bbPress plugin which will help you in building forum or community page for discussions. This theme consists of 11 page builder blocks using which you can create unlimited styles of blog pages. It comes packed with shortcodes to generate elements like tabs, toggles, accordions, gallery, pullquotes, video embeds, tables, spacers, blockquotes, columns layouts, buttons, service boxes, lists, etc. The theme is SEO ready which will help better search engine rank. It has spaces reserved for ad banner, it is translation ready with WPML compatibility. Supports mega menu, 3+ home page layouts provided and several page templates. 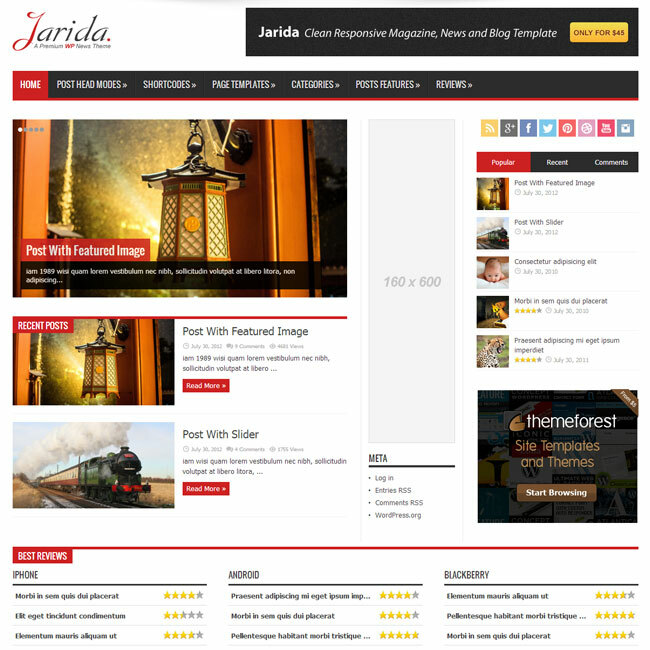 A WordPress theme for Blog and Magazine. A Responsive WordPress News, Magazine & Blog theme.